The arrival of a motorcycle gang causes trouble in a small town. “What are you rebelling against?” “What have you got?” It’s a rejoinder that both captures the spirit of the film and also the fear it engendered in a middle age audience that saw youth gone wild. Hepcats ripped up on bennies and Mary Jane and answerable to no one. Audiences weren’t used to rooting for the delinquents on screen, who were as liable to stub a cigarette on mum’s apple pie as eat it. Banned for over a decade in the UK, a country that six years later still found the idea of Cliff Richard a little edgy, it is the epochal out of control youth picture. Without this there is no Rebel Without a Cause or Easy Rider, and arguably its lineage stretches to Boys ‘n the Hood and beyond. Wherever there is a youth movement there is now a director wishing to document it for posterity while conservative news agencies tut disapprovingly in the background. The Wild One is as dated as all hell. That’s the trouble with being ahead of the curve and capturing the moment. Yesterday’s controversy is today's nostalgia. The iconography is now ingrained, from the previous quote to the image defining moment of Brando dressed as a Leather Boy, fetishised by Warhol and certain segments of the LGBT community, and a title that is a byword for raucous antics. 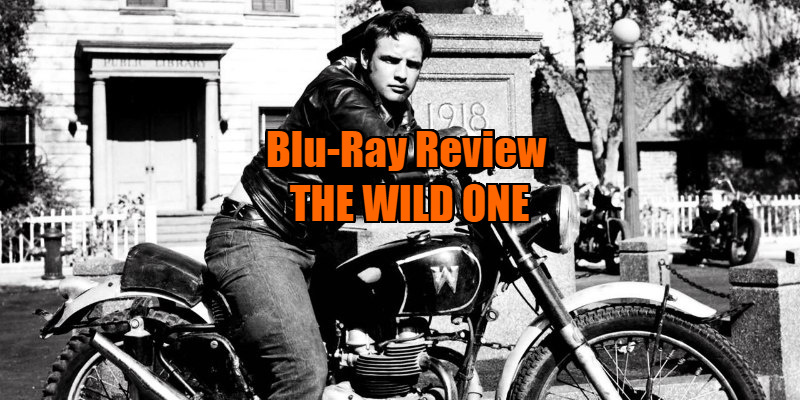 Johnny Strabler (Brando) and his Black Rebel Motorcycle Club ride into a small town to stop off and cause trouble when one of their number gets injured in a minor crash with one of the town's old folks. I use the word trouble advisedly as their antics seem more like that of a biker boy Bullingdon Club than real outlaws. That said the title The Mildly Twatty Ones doesn’t have quite the same ring to it. Yes, there are a few minor altercations with another biker gang, lead by a young Lee Marvin as Chino, and a bit of property damage, but you never feel like the townspeople are in any kind of real trouble. More interesting is the way in which the townspeople seem to encourage this, in particular Frank (Ray Teal), the bar owner and brother of the Sheriff (Robert Keith) who sees a chance to get a quick buck as they drink his bar dry. Brando is all taciturn stares and truculence, with a side order of scene stealing and busy work with props; hints that Brad Pitt may have been paying a lot of attention to this film during his acting career. He may be a rebel, but beneath it all he just wants to find love with Kathie (Mary Murphy), the barmaid and catalyst that leads him to fight against the more rapey instincts of his gang, and also to be chased after by the disgruntled townsfolks who have had enough, leading to a climax reminiscent of the villagers attacking Frankenstein’s monster. The brainchild of Stanley Kramer, a director who specialised in stolen from the headlines drama and issue based films, this was directed by Hungarian emigre Laszlo Benedek, whose subsequent career never again caught lightning in a bottle the way he did with this film. The photography is crisp and dark, influenced by noir and the depiction of small town dust bowl America is convincing. The way in which the conservative folks both hesitantly embrace the gang before turning to gangland justice fits with the chilling reds under the beds theme of '50s America as they turn on Brando while perverting the ideals of American Justice. Stodgy and plodding though this museum piece may be, see it for Brando at his most charismatic and potent. The environment may have changed since and the language a little coarser but there will always be a need for a teenager to find something to rebel against, whatever you got. A first-rate selection of extras, the most fascinating of which is a breakdown of the troubled history that the film had with the UK censors and the incipient rise of gang violence in places such as Brighton. A lightweight look back at the real events that inspired the movie and the underhand chicanery that the press took to elevate drunken high spirits and turn it into a riot. Particularly insightful in the way that post war soldiers formed motorcycle clubs as a way of coping with what would now be deemed post-traumatic stress while retaining the camaraderie of being part of a war time platoon. There is a brief look at Brando the icon, a cut down Super 8 version as well as a trailer and image gallery. An introduction from Karen Kramer, the widow of producer Stanley and an audio commentary from film historian Jeanine Basinger. Add to the mix the usual high class booklet featuring an essay from Kat Ellinger and an article from the director and you have the definitive blu-ray for fans of the film. 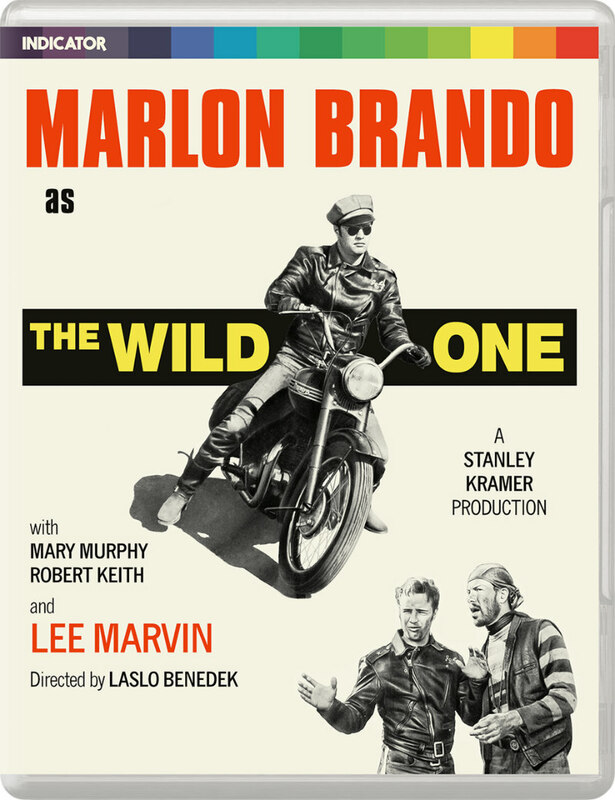 The Wild One is available on blu-ray now from Powerhouse Indicator.